As a Property Preservation Contractor, will your insurance protect you when a mortgage holder becomes a plaintiff? You are entrusted to inspect, protect, and preserve a mortgage holder’s properties during pre-sale and post-sale proceedings. At any point, one overlooked detail could trigger an expensive lawsuit. Does your current insurance cover the following property preservation claims scenarios? You receive an order to remove vehicles and miscellaneous equipment from a property managed by your company. Mistakenly, you or an employee remove the wrong items. While performing maintenance work on a property, a bucket of paint spills on a rare hardwood floor, resulting in significant damage to the home. Your employee mistakenly leaves a vacant property unlocked, which results in vandalism while still in your care. A dishonest employee providing routine maintenance to one of your properties takes a valuable antique from the estate. You failed to adequately drain household water pipes. Over the winter, the pipes froze, resulting in thousands of dollars in damages to floors and walls. It is important for you to focus on taking care of the interest of your clients, not worrying about a potential claims. You need the protection of a comprehensive insurance program design specifically for Property Preservation Contractors and backed by some of the largest names in the industry. There is a reason Safeguard, MCS, Cyprexx, National Field Representatives, Edgemark Solutions, and Northsight Management have partnered with and can recommend Brunswick Companies. 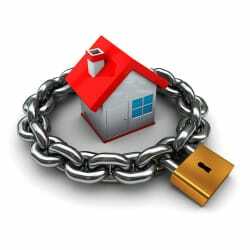 Complete our Online Property Preservation Quote Form or call us at 800-686-8080 to speak with one of our experts.